Tastings at Hanrahan’s, conducted by Dave. 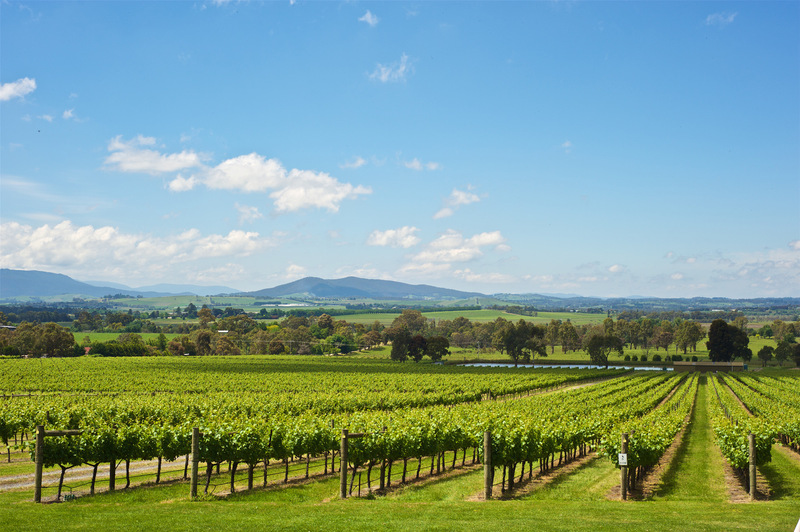 The Yarra Valley is one of the earliest viticultural areas in Australia, with grapes being planted around 1838. 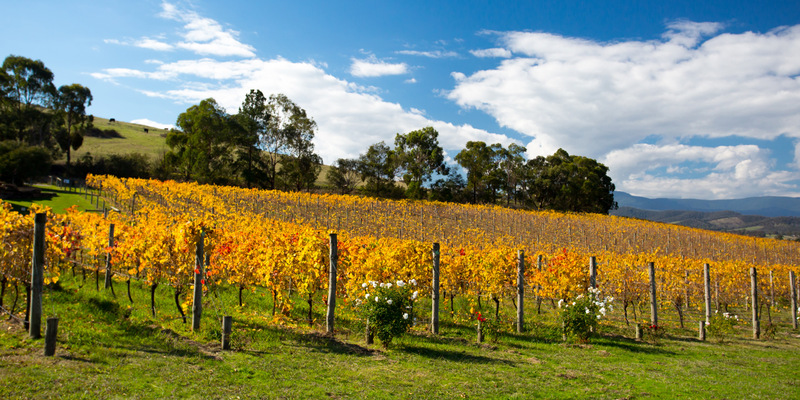 With gently rolling hills on view from every vista, there seems to be a hidden winery or cellar door tucked around every corner. 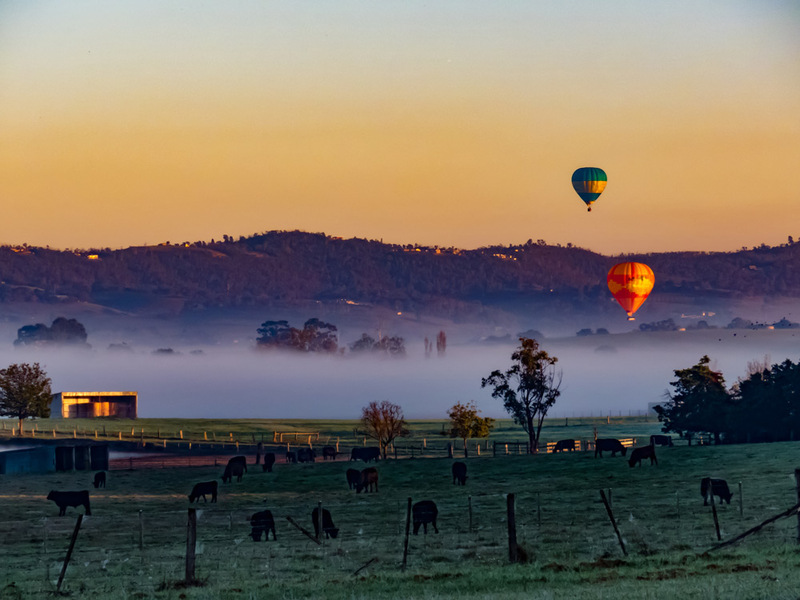 Until the late 1980’s, the Yarra Valley was the natural home of the smaller boutique winery. Realizing its great potential for high quality cool climate wines, De Bortoli was the first large company to acquire a vineyard at Dixons Creek. This was soon followed by many other larger investors and wineries. Brown Brother’s have most recently purchased the Innocent Bystander brand from Giant Steps. The Innocent Bystander Bistro is a very popular destination for a casual meal and a glass of wine. 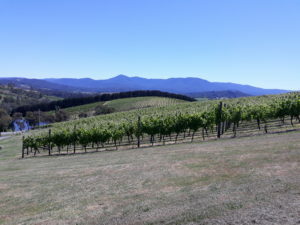 It is located in Healesville, the coolest wine growing area of the Upper Yarra Valley. 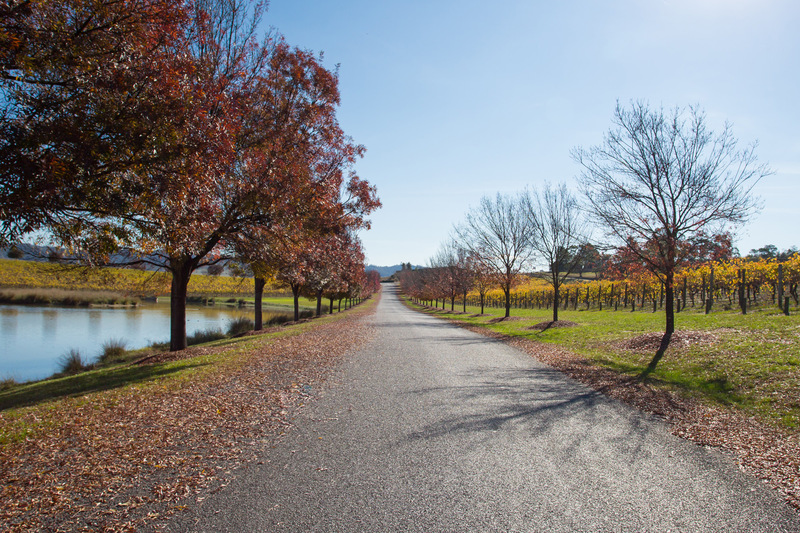 Domaine Chandon – what better way to kick start your Perfect Day than with a glass of bubbles? With a large international profile, due in part to winning major tourism awards, the views and architecture are world class. Indulge in a ‘splash’ tasting – trying many of the sparkling wines on offer. Having found your favourite drink – enjoy a glass with the magnificent views of the Warburton Ranges. De Bortoli – the largest producer, and one of the most successful wineries in the Valley. High quality, yet excellent value wines, make this such a popular destination, for local and international wine lovers alike. A large, well staffed cellar door, highlighting the impressive range makes for a memorable start. Waiting for you upstairs is the immensely popular ‘Locale’, an authentic Northern Italian restaurant, inspired by the best seasonal produce. Enjoy a glass of wine and some of De Bortoli’s magnificent cheese selection in the beautifully maintained gardens, overlooking the vineyards. Seville Estate – Awarded the ‘Winery of the Year’ in the esteemed James Halliday Wine Companion 2019. A magnificent example of the expressively cool climate wines emanating from the Upper Yarra Valley. As one of the pioneers of the region, being established in 1972, the precious older vines are able to add extra dimensions of complexity, length of flavour and elegance. Excellent examples of Riesling, Chardonnay, Pinot Noir, Shiraz and Cabernet Sauvignon are available for tasting. Some of the best wines I have been fortunate enough to try in 2018. A new restaurant is now up and running. Tasting fees apply. Oakridge. A wonderful example of a medium sized winery. Long time winemaker David Bicknell sets a high standard, and is famous for swinging the pendulum away from oaky, overly rich chardonnay, back to a more elegant refreshing style. Cabernet Sauvignon is another variety for which Oakridge is highly regarded.You will also find very tasty examples of cool climate Shiraz, and Pinot Noir, among other varieties. The ‘Single Vineyard’ range offers terrific value, and each wine is expressive of its vineyard and the growing conditions of the season. If you are interested in food and wine pairing, Matt Stone is executive chef at the much loved Oakridge restaurant. Highlighting fresh, seasonal and local produce, the menu is attuned to highlighting the deliciousness of the Oakridge wines. Great cellar door staff too! 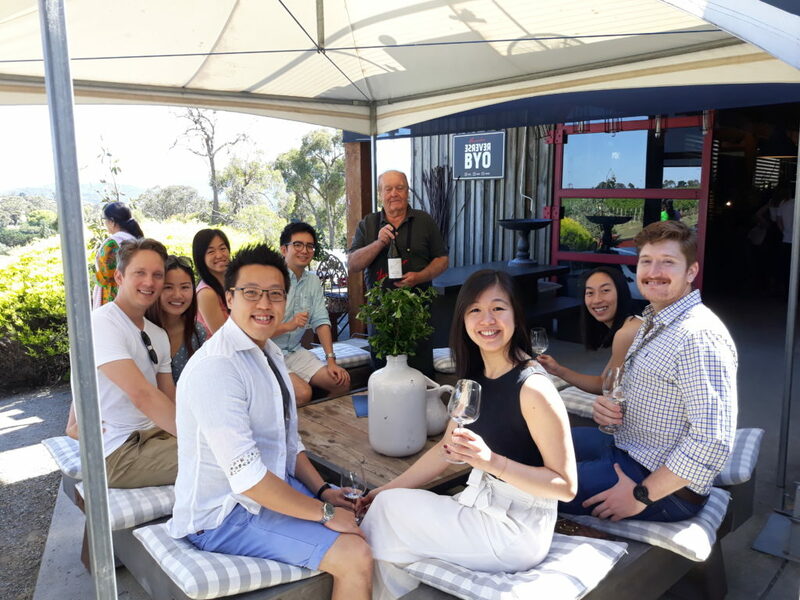 Pimpernel Vineyard – An intimate and welcoming cellar door experience is initiated either by the owners – Mark and Fiona Horigan, or one of the winemaking team, Damien and Morgan. Small producers of outstanding quality wines, the pride the team take with showing their remarkable wines, often means you are happy to linger longer than you thought you might otherwise have. As well as a diverse range of Pinot Noirs ,there is an unashamedly full flavoured chardonnay, lovingly fermented and matured in only the best quality French Oak. Many of the more interesting European varieties are grown at Pimpernel, including Marsanne, Viognier, and Chenin Blanc, Grenache, & Mataro. The 2016 ‘Grouch’, a blend of Shiraz, with 6% marsanne, was awarded 97 points in the James Halliday 2019 Wine Companion. Great for small groups who are real wine lovers. Warramunda Estate – On the famous South side of the Maroondah Highway Coldstream, and close neighbours to Oakridge and Dominique Portet, lies Warramunda Estate. Two distinct ranges of wine are available at Warramunda. The ‘Liv Zak’ wines, carefully made under strict instructions from Olivier Magdziarz, and the Warramunda Estate wines, orchestated by Liv’s father Robert. The Liv Zak wines prove to be excellent value, and highlight a brightness of colour, vibrant fruit flavours, and mouth watering freshness. Wonderful early drinking potential. The cool climate Syrah (Shiraz) being a standout. The Warramunda Estate wines are made to age for longer – although due to the cool climate natural acidity, they are already quite delicious. These wines are all about elegance, layers of flavour, site specificity and moderate alcohol. The polished, fine grain tannins on the red wines reflect the care and attention to detail in both vineyard and winery. Warramuda offers an extended range to the usual varieties grown in the region. Award winning Viognier and Marsanne are proudly presented for tasting, with very good reason. Please try the Maranchego cheese on offer as part of the tasting.